In addition to learning about hitting from lessons and videos, read some of these great hitting books to learn more about what some of the great players of the past and present or great coaches have to say about in their books on hitting. I'm going to list many books. I will try to guide you the best I can, as I've read many of them, but others I haven't so I'll tell you so, but if I know something about the book, I'll pass on what I know or if I don't know anything, I'll just leave it as a listing only and I guess you'll be on your own. If you're looking for good baseball books other than books on hitting you can go to my baseball books page. This will include biographies, funny stories, books on pitching or other positions, coaching, et al. If you're looking for good softball books other than books on hitting you can go to my softball books page. A similar page to the baseball page. 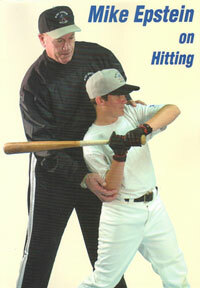 The granddaddy of all hitting books, this book needs to be on your shelf, if you consider yourself a student of hitting. Where else can you learn what the last .400 hitter has to say about hitting. Ted Williams batted .344 lifetime and is a member of the Hall of Fame. I read this book as a kid and I thought it was so cool when he showed how his batting average was affected by pitch location with a great color chart. He also has a comment that is still controversial in some circles that your swing should be slightly up. Get it, read it, see what you think. It's in paperback, so it's only $10. Buy it by clicking on the link now. This hitting book is written by a student of Ted Williams, when he was on the Washington Senators. He really studied what the great hitters had in common and wrote about his hitting findings in this book. I have not read this book, but I've met and talked with Bobby Simpson and have watched his videos. He has coached for over 30 years, leading clinics and has worked with many of the national team players. He reminds me alot of myself, kind of like the Internet Hitting Coach with a drawl :) I trust what he has to say. I hate to tell you this, but the only books on slo-pitch softball hitting are currently unavailable on Amazon. I'll keep this place holder available if anything becomes available.